Socialism has wreaked havoc around the world — just ask Venezuelans suffering economic catastrophe today. While most Americans recognize that socialist policies have no place in a free, capitalist society, some on the far-left think that we should turn towards socialism. In recent months, the environmental movement has latched on to this as a means of advancing their own agenda, backing Alexandria Ocasio-Cortez’s Green New Deal that is undisputedly inspired by socialism. After all, the Green New Deal would represent an unprecedented government takeover of the economy. It calls for single-payer healthcare – a socialist proposal. It promises guaranteed unionized jobs and free homes for all – more socialism. Ocasio-Cortez’s office even proposed paying those unwilling to work. That’s socialism, clear as day. But now that the Green New Deal has been exposed as ridiculous and a joke of a policy proposal, in large part because of its reliance on socialist policies, Ocasio-Cortez is backtracking. That’s funny since Ocasio-Cortez is a self-described “Democratic Socialist” and is a member of the Democratic Socialists of America. 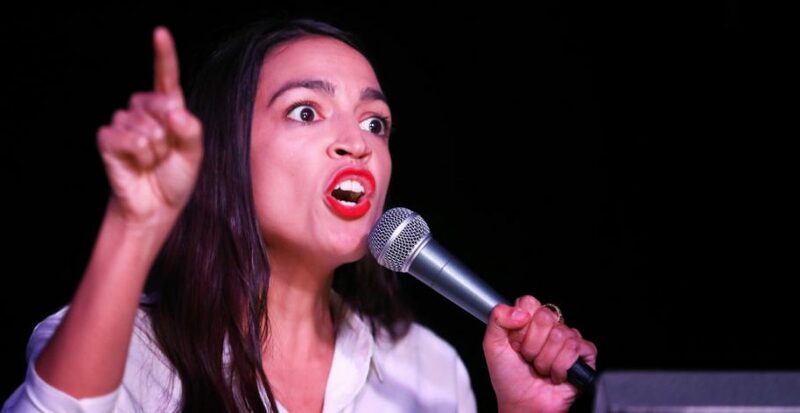 “I would also like to highlight that it is not responsible to complain about anything that we dislike as quote-unquote socialism,” Ocasio-Cortez said. This might be a good argument, if it wasn’t for the unfortunate truth that the Green New Deal is socialist through and through. That’s why socialists like Bernie Sanders love it. Alexandria Ocasio-Cortez should stop being duplicitous and own up to the fact that her Green New Deal is socialism disguised as poor environmental policy.